MILAN/BRUSSELS -- Tests conducted on Fiat Chrysler vehicles show they are compliant with regulations and contain no emissions defeat devices as alleged by Germany, Italy's transport ministry said. Tensions have risen between Rome and Berlin over the issue, with German Transport Minister Alexander Dobrindt saying last weekend that Fiat Chrysler vehicles breaking emissions rules should be recalled and taken off the streets. "This is an inadmissible suggestion. You don't give orders to a sovereign nation like Italy," Italian Transport Minister Graziano Delrio said on Monday. Germany last year raised concerns over certain Fiat Chrysler models, including the Fiat 500X, Fiat Doblo and Jeep Renegade, alleging that hidden software allowed excessive emissions by their diesel engines. The issue resurfaced last week when the U.S. Environmental Protection Agency accused Fiat Chrysler of manipulating emissions tests in its Jeep Grand Cherokee SUVs and Ram 1500 pickup trucks. Fiat Chrysler has denied any wrongdoing. After Italy rejected Germany's allegations last year, Berlin asked the European Commission to mediate in the dispute. Italy's transport ministry said on Monday it had "carried out the necessary checks and sent a detailed report to the German authorities which shows that the Fiat 500X, in contrast to what is claimed by Germany, is in compliance with regulations." It added that the European Commission did not appear to have conducted any tests of its own that would confirm the German allegations. 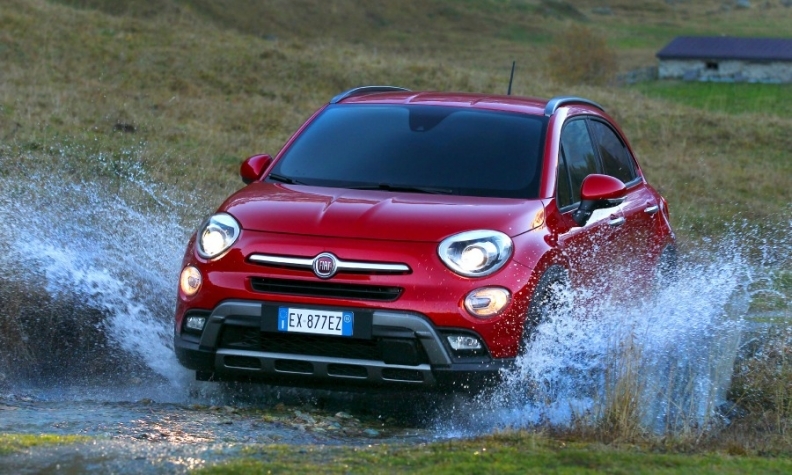 An EU official has told Reuters that the Commission had taken emissions measurements on one rented Fiat 500X model. The Commission last week called on Italy to provide proof against Germany's allegations. Rome on Monday dismissed Commission accusations that it was dragging its feet in the case, saying it has always responded to requests from Brussels in a punctual manner. Under an emissions testing regime that the Commission is now seeking to overhaul, national watchdogs approve new cars and have the exclusive power to police manufacturers -- though once approved in one country, vehicles can be sold across the bloc. Volkswagen Group admitted in September 2015 to installing secret software in hundreds of thousands of U.S. diesel cars to cheat exhaust emissions tests. Earlier this month it said it had negotiated a $4.3 billion draft settlement with U.S. regulators and would plead guilty to criminal misconduct over the issue. As part of a widening clampdown on health-threatening nitrogen oxide (NOx) pollution levels in the wake of the VW scandal, the Commission in December began legal action against Germany, Britain and five other EU member states for allegedly failing to police for cheating emissions tests.